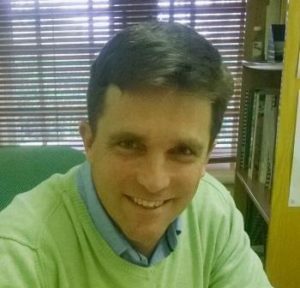 Since completing a BSc in Chemistry and Geography (1998), an honours degree in GIS (1999) and a Master’s degree in environmental management (2001), Leo has gathered 15 years working experience in various environmental and spatial planning fields. He has worked in roles based in the United Kingdom and Ghana in addition to South Africa and has been involved in various projects in Lesotho, Botswana, Zimbabwe, Mozambique, Kenya and South Sudan. He has a keen interest in understanding the spatial relationships that exist in the environment, particularly at the interface of man’s utilisation of natural resources. He has strong GIS skills which are a key component of much of the work that he undertakes and is currently focused on the development of web-based applications to make GIS products more accessible and the development of custom project components. Examples include a Web-GIS decision support tool for the uMgungundlovu District Municipality, the Mohale’s hoek Land degradation information system and the Department of Environmental Affair’s Operational Support Framework for Ntabelanga and Lalini Dam catchment areas. He has also developed a quaternary scale catchment prioritisation application for the Department of Water Affairs to assist with the understanding of the impact of land based activities on water resources. This standalone application included an embedded GIS interface allowing the production of maps and associated reports. Leo’s interests extend beyond GIS. More recently he has been working in the fields of water resource assessment and management, focusing on aquatic ecology, water quality and river health. He has worked as a water quality specialist on a number of river reserve determinations and has developed water quality monitoring plans for a number of clients including Umhlathuze Water and AECI Chemicals. He has a keen interest in fish and in the use of fish as ecological indicators. He is also an accredited SASS5 practitioner. He has equally strong interests in terrestrial biodiversity, land degradation and ecosystem service conservation planning and has developed a range of planning instruments including a biodiversity and open space management plan for KwaDukuza municipality, a systematic conservation plan for the uMshwati City development node, a landscape characterisation of seven local municipalities bordering the UKhahlamba Drakensberg World Heritage Site and Environmental Constraints Frameworks for two of Eskom’s field services areas.